[center][img]https://78.media.tumblr.com/714427d203f2e2d1d406e05c64f382a0/tumblr_p6ua901Mew1u457zzo2_r3_250.png[/img] --- Hi everyone!!! I left FR for over a year (2 years?? not sure) and now I've come back, yaaaay! I have stuff stuff stuff in my hoard and would love to host a BIG giveaway. Ok, well, as big as I can make it, haha. I would LOVE for this to go until... [b]A) WE HIT HALLOWEEN 2018!!!!!!!!!!!!!!! [/b] I love Halloween, and I'm so sad I didn't log back on in time for this year's Trickmurk, so instead I'd like to do the big raffle winnings on my favorite real-life holiday instead! [b] [size=4]OR[/size][/b] [b]B) WE SELL 10,000 TICKETS!!!!!! [/b] I kind of want to go until Halloween, but I figure if we hit 10,000 tickets then that's a super long enough wait for everyone. 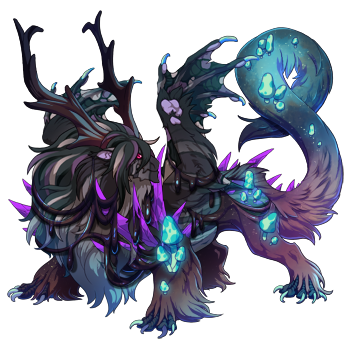 [br] - [url=http://www1.flightrising.com/forums/raf/2413930#post_32592701]HOW TO ENTER + INFORMATION[/url] - - [url=http://www1.flightrising.com/forums/raf/2413930#post_32592703]THE BIG PRIZE + UNLOCKABLES[/url] - - [url=http://www1.flightrising.com/forums/raf/2413930#post_32592706]MINI BUMP RAFFLE PRIZE[/url] - - [url=http://www1.flightrising.com/forums/raf/2413930#post_32592708]SPREADSHEET[/url] - - [url=http://www1.flightrising.com/forums/raf/2413930#post_32592709]PINGLIST + GRAPHICS[/url] - [b] UPDATES[/b] [b]4/11:[/b] I have added a Bogsneak scroll to a locked level! 4000 tickets. ALSO, I am subscribed to this thread, no need to ping me (but it's ok if you do) [b]4/12:[/b] I keep thinking of things! I added automatic art prizes, i.e. if you buy a specific ticket number, you automatically win a prize of one dragon headshot! See the information post for details. [b]4/21:[/b] Congratulations on @Casanoble for getting the 250th paid ticket!! 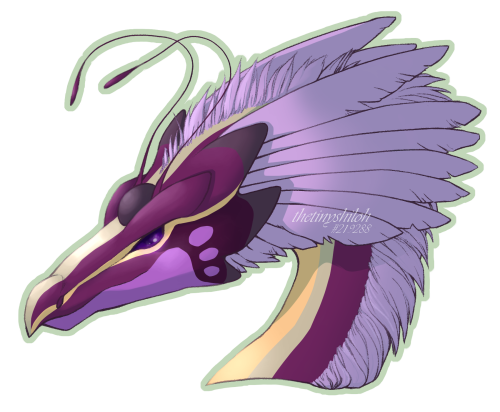 I will PM you about offering a dragon headshot art piece, and we can work on details :) [b]5/10:[/b] The "BOXEN" prize package has been added to, yay! Now, you can win an entire full stack of Rusted Treasure Chests, and 10 (TEN) Gilded Decorative Chests. [b]5/28:[/b] A new unlockable prize added - an unhatched nature egg!!!! NOW, I've expanded the runner-ups to a total of FOUR additional winners, each one getting 2 of the prize packs. Yay! [b]10/7:[/b] The 500 ticket prize pack was unlocked a few weeks ago!!! Hi everyone!!! I left FR for over a year (2 years?? not sure) and now I've come back, yaaaay! I have stuff stuff stuff in my hoard and would love to host a BIG giveaway. Ok, well, as big as I can make it, haha. A) WE HIT HALLOWEEN 2018!!!!!!!!!!!!!!! I love Halloween, and I'm so sad I didn't log back on in time for this year's Trickmurk, so instead I'd like to do the big raffle winnings on my favorite real-life holiday instead! B) WE SELL 10,000 TICKETS!!!!!! I kind of want to go until Halloween, but I figure if we hit 10,000 tickets then that's a super long enough wait for everyone. 4/12: I keep thinking of things! I added automatic art prizes, i.e. if you buy a specific ticket number, you automatically win a prize of one dragon headshot! See the information post for details. 5/10: The "BOXEN" prize package has been added to, yay! Now, you can win an entire full stack of Rusted Treasure Chests, and 10 (TEN) Gilded Decorative Chests. 5/28: A new unlockable prize added - an unhatched nature egg!!!! NOW, I've expanded the runner-ups to a total of FOUR additional winners, each one getting 2 of the prize packs. Yay! 10/7: The 500 ticket prize pack was unlocked a few weeks ago!!! - PLEASE ONLY USE THE CROSSROADS FOR PAYMENT. Only 5 bumps per day count towards bump tickets. The count for the day resets at rollover. - As stated above, this raffle will either end on October 31st, 2018 or when we hit 10,000 tickets SOLD (not counting bump tickets). - There are 2 prize pools - one for paid tickets, and one for bump tickets. - There will initially be ONE winner ......... BUT there can be up to 4 WINNERS TOTAL if we unlock all the prizes. - The grand prize winner will get the grand prize in addition to 2 prizes of their choice from the 8 unlockables. - There will be 4 runner-ups, and they will get their choice of 2 prizes in order of when they were picked. - I will ping everyone on the pinglist when we hit either goal (10,000 tickets or October 31st), then start the drawing. - I will use random.org to select the winners, and ping them here. If you won, you will have 24 hours to reply to this forum topic or I will move on. - Tickets will not count towards the 10,000 total end goal. - This mini raffle will end when the main one does. A wide-brimmed, leather mage's hat. Placing this upon your head fills you with the urge to decide the fates of children. Tinted goggles of polished copper. They're perfect for shielding a dragon's eyes from soot, smoke, or water. That is, until they get steamed up. The color is purely cosmetic. Two large clunky gloves that are covered in extraneous gold gears and plating. The more gears, the better! A plated vest of copper and rubbed leather. It is pockmarked with gizmos and sockets, perfect for connecting to other contraptions. The guage on it measures in dapperness. An impressively-constructed arrangement of gold leaves, pistons, and rotors. With a constant supply of steam, the flying potential of the wearer could be doubled. A hand-crafted metal helm. 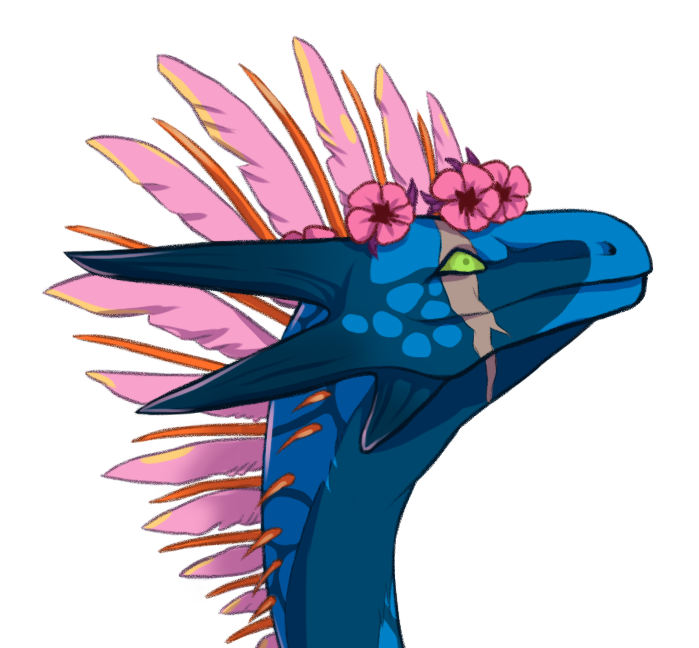 It's best not to ask how this piece actually fits on a dragon's head. This one is burnished gold. A dusty circlet constructed with the bones of several creatures. It is unclear whether some of them came from other dragons. A mysterious stranger silently meditates. Their face is hidden in shadow except for their gentle smile. The stranger inside this cowl keeps their head down, their features obscured by shadow. A delicate pair of earrings crafted from splendid pastel spinel. A refined ring set with a luminescent pearl. A cheerful necklace strung with a gleaming citrine. An exquisite necklace strung with a lustrous lapis lazuli. A cheerful anklet of gleaming citrines. A delicate armlet of splendid pastel spinel. An exquisite armlet of lustrous lapis lazuli. An antique belt strung with smooth jade. A delicate belt strung with splendid pastel spinel. An exquisite tail ring of lustrous lapis lazuli. What differentiates this from a standard navy scarf is a subtlety lost on most. What differentiates this from a standard green scarf is a subtlety lost on most. What differentiates this from a standard gold scarf is a subtlety lost on most. A pair of leather bracers with a concealed inner sleeve. A pair of close-fitting footpads for the nighttime wanderer. A pair of close-fitting gloves for the nighttime wanderer. A pair of close-fitting wing guards for the nighttime wanderer. A helmet crafted from steel and lacquered wood. Armor crafted from steel and lacquered wood. Shoulder guards crafted from steel and lacquered wood. Arm guards crafted from steel and lacquered wood. This ostentatious hat screams 'magic-user', which is just as well, since the noise it creates prevents any attempts at stealth. A pair of fascinating eyes. A fine membrane encases this object. When handled, the membrane rips open, revealing a fungus-covered chest. A blend of lion, goat, and serpent, the chimera is a dangerous foe. It's giving you a funny look. Be wary of disturbing a hive of Rainbow Sprites. The swarm will protect its home, and retreating to the water will not save you. Snow Streaks are sometimes found frozen in place after particularly large snowstorms. They are easy prey. These creatures spend their early lives swimming in shallow riverbeds. When they mature their fins will have elongated enough to facilitate flight. Dragons bonded to bantam fangar are easily identifiable by the cloud of fur that dusts their scales at all times. The long legs of this unicorn allow it to walk along the bottom of shallow swamp beds, enabling it to easily graze on the aquatic plantlife. Sent by their clans to seek and bring home their fallen flock lost to madness and confusion, these dusk-traveling bounty hunters seem to be losing their own battle with darkness. Changes the breed of one dragon to Bogsneak. Bogsneak dragons are an uncommon breed with a 25-day breeding cooldown. Cannot be applied to dragons already on a cooldown. Crystalline Gala 2016. (8/14) Designed by Bisexual. Crystalline Gala 2016. (10/14) Designed by bluequasar. Crystalline Gala 2016. (12/14) Designed by SolarRush. Crystalline Gala 2016. (14/14) Designed by Ionil. Trickmurk Circus 2016. (8/14) Designed by Asmo. Mistral Jamboree 2016. (7/14) Designed by Tix. Wavecrest Saturnalia 2016. (7/14) Designed by Desnik. Wavecrest Saturnalia 2016. (14/14) Designed by Cilverlining. Greenskeeper Gathering 2016. (12/14) Designed by Luckysquid. Greenskeeper Gathering 2016. (13/14) Designed by Raikdow. Brightshine Jubilee 2016. (4/14) Designed by arcaneidolriots. Brightshine Jubilee 2016. (5/14) Designed by owlapin. Brightshine Jubilee 2016. (6/14) Designed by Ironlily. Brightshine Jubilee 2016. (8/14) Designed by AlpineHell. Thundercrack Carnivale 2016. (3/14) Designed by Uniformshark. Flameforgers Festival 2016. (8/14) Designed by Gryffion. Flameforgers Festival 2016. (14/14) Designed by Saerino. Starfall Celebration 2016. (3/14) Designed by Yftm. Riot of Rot 2016. (13/14) Designed by Uniformshark. Flameforger's Festival 2017. (6/14) Designed by tunatuna.